About ten years ago when Art Szpunar began working with me, I saw an artist with mathematical and scientific skills who, like me, had a lifelong love of sailing with the wind. He had the skills to immediately take my design catalog and convert it to much more sophisticated CAD/CAM technology. My own background was much more experiential and success came more from determined, controlled development rather than the math and science. Art had done a series of graphic look designs in a loose association with another brand, but the fundamental concepts of shaping and tension were totally new. We would meld them, together. His talent lies in a place far beyond the 3D tools and numbers. His intense desire to reach obvious performance differences grew as he understood the proven principals of the shaping/tension relationship. This is the key to achieving consistent easy handling in synch with higher speeds and rapid maneuvers. The relatively tiny size of windsurfing wings demands equally subtle shaping ideas to guarantee correct tension through the cycle of takeoff to flight (the joy of sailing). Over the years, Art quietly and unassumingly took charge of all aspects of design creation. His passion put him on the water nearly every afternoon, often out sailing alone on a less than stellar day. I know that much as I had always done, there were few moments when he wasn’t relating his experience to his next design idea. And the sails simply continue to be better and better. S2Maui is the natural culmination of the transition of my design philosophies, built around years of racing and product success, to the very capable hands of Artur Szpunar. I will be happy to remain a part of his next dream, and suggest that anyone interested in experiencing sail and rig design at its best, will find their way to S2Maui. S2Maui is the heart of a great team. Friends and colleagues, who recognized that our combined dynamic was truly magic and needed to push forward to the next level. Built on a rock solid legacy of design quality and innovation, driven by passion, we are now free to create the future. The natural evolution of Barry and my 10 year design collaboration, there are plenty more ideas yet to be unleashed. I’m incredibly grateful for the experiences of our past work and even more so for the continued support that has opened a door to the future. Combined with Rick’s incredible business and sales experience together with Casey’s enthusiasm and marketing prowess, we have the foundation of S2Maui’s dream team. My wonderful wife, amazing daughter and baby boy complete my personal dream team. My passion for drawing lines on wave faces and playing with the laws of Physics at the mercy of the wind has not faded since I was a kid. Designing and testing the tools that maximize these experiences go hand in hand. I have found that the best received ”consumer” products are the authentic and undiluted ones that we dream and design for ourselves and team, so why compromise? This is our design philosophy, to offer the real deal, best designs and most advanced materials available so that all S2Maui riders can have the true experience. S2Maui means more than “just business.” It is about friendship, family and passion. It’s about doing things the right way and working together with a long term vision. It’s about all the loyal supporters and relationships that we have built over time and the new ones to be developed. S2Maui is a dream that has become reality. Why S2Maui? Living and breathing windsurfing comes from loving the wind in your fingertips and the force of nature in your soul. What better connection to wind and waves than sail designs from Art and Barry coursing through your fingertips? S2Maui is the natural culmination of all that precedes it. There are few of us lucky enough to say that windsurfing is more than a passion, hobby or career, but a lifestyle. Why windsurf? Why S2Maui? Because it’s FUN! Whether it’s your first time planing, blasting past your buddy, going full tilt into a jibe, flying through the air, or driving into a bottom turn, the stoke you have after a session is unlike anything else. As long as I’ve known about windsurfing, I’ve known about Maui and Barry Spanier. 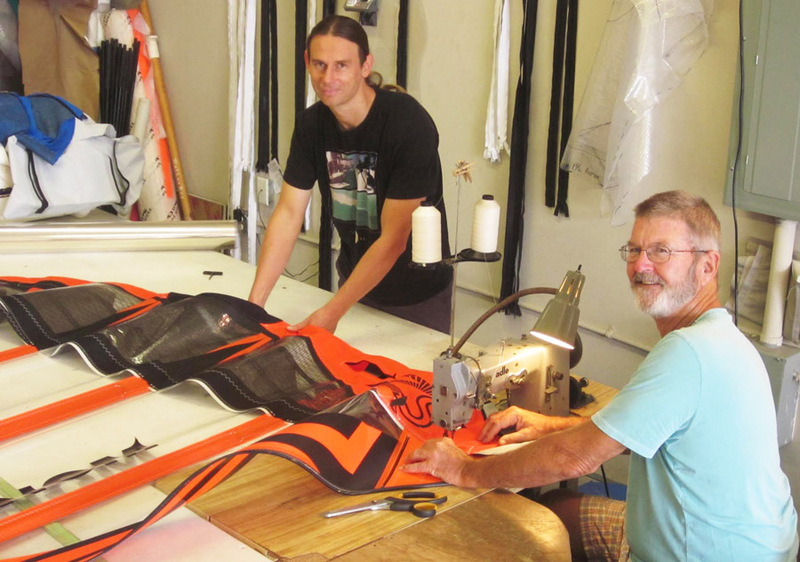 And for over 15 years I’ve had the privilege and pleasure to use and demo Barry and Art’s designs to windsurfers around the globe as well as to compete. When representing a brand there’s no greater joy than seeing someone grinning ear-to- ear after a session on your product, regardless of whether they’re a PWA pro or backyard Joe. It’s that satisfaction and stoke from you which drives us, and it’s what we feel ourselves when we test in our own backyard. S2Maui. Szpunar & Spanier. Sorcery & Science. 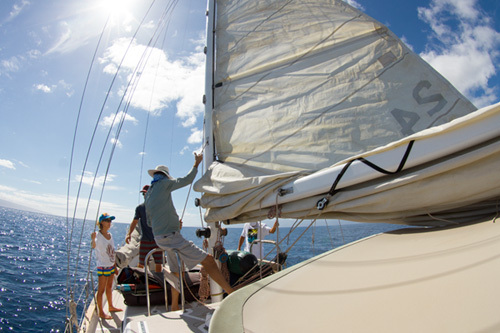 Surf & Sail Maui. When you ride with an S2Maui rig in your hands, you’re experiencing the result of over 30 years developing world title-winning rig designs–nothing short of magical performance. Don’t believe us? Contact us and try one yourself!